Perhaps the only comprehensive study of the Porrajmos/Uštavipe, the Romany holocaust (although this version written in Romany is actually an abridged version of the longer, English edition). As such it makes depressing reading. The paucity of records (and victims) that survived the war means that much of the story will never be told, but the author has managed to put together enough pieces of the jigsaw to allow a glimpse of the true extent of the horror that was unleashed on the Romanies during the Trinto Radž. 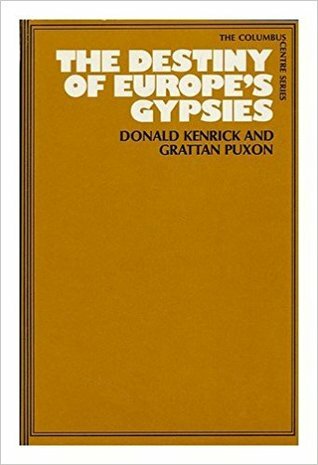 Alas, I suspect this book is as little known as the Romany holocaust itself. The recently published The Damned Balkans: A Refugee Road Trip highlights among other things this largely ignored aspect of WWII. Most telling for me were the personal testimonies of survivors - read it.